Good overall health starts with good digestion. 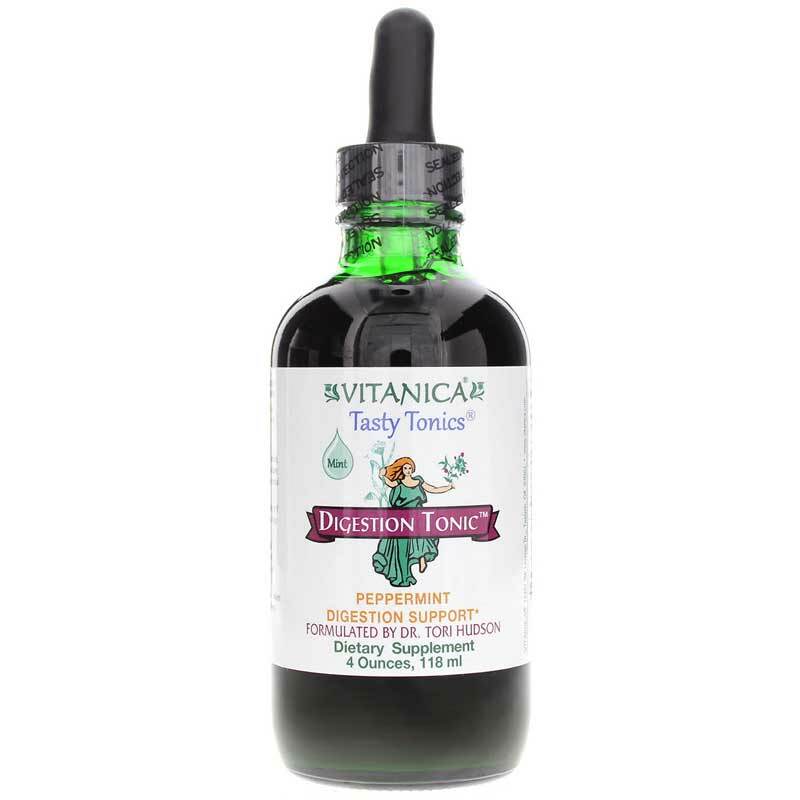 Get great-tasting natural support with Digestion Tonic in Peppermint from Vitanica. 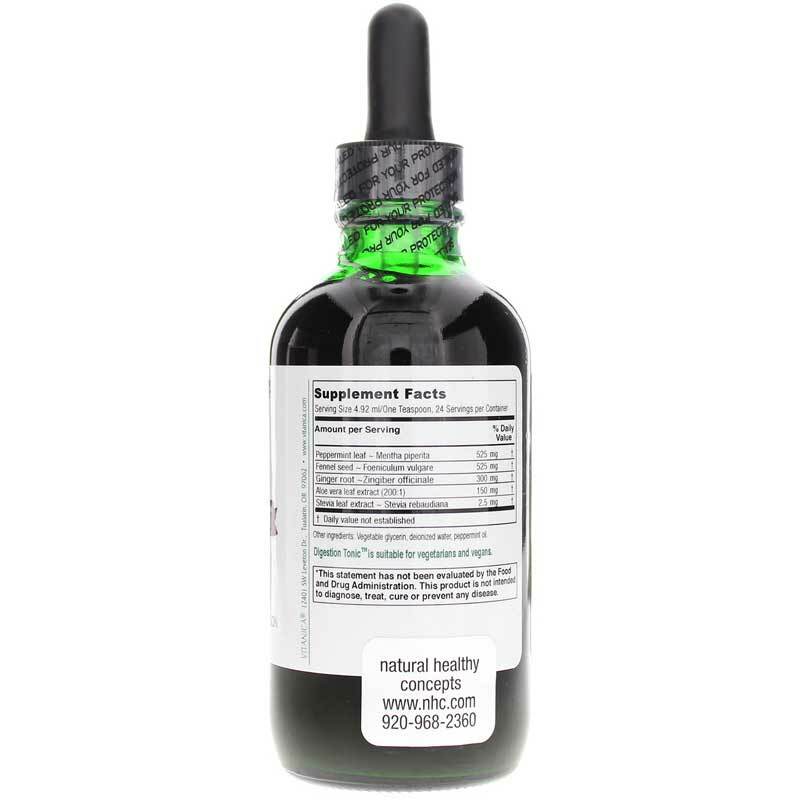 Formulated by Dr. Tori Hudson and featuring soothing herbs like minty-fresh peppermint, Digestion Tonic is a liquid supplement designed to provide support for healthy digestion and nutrient assimilation. Peppermint GÇô With a long history or use as a digestive aid, peppermint provides cooling and soothing properties for the digestive system. Fennel Seed GÇô Traditionally used in many digestion support formulas, fennel may be particularly beneficial for the relief of occasional gas and discomfort. Ginger GÇô Another key digestion-supporting herb with a long history of use, ginger helps calm the stomach. Aloe Vera Leaf GÇô With natural soothing properties, aloe may help lubricate and protect the digestive system. 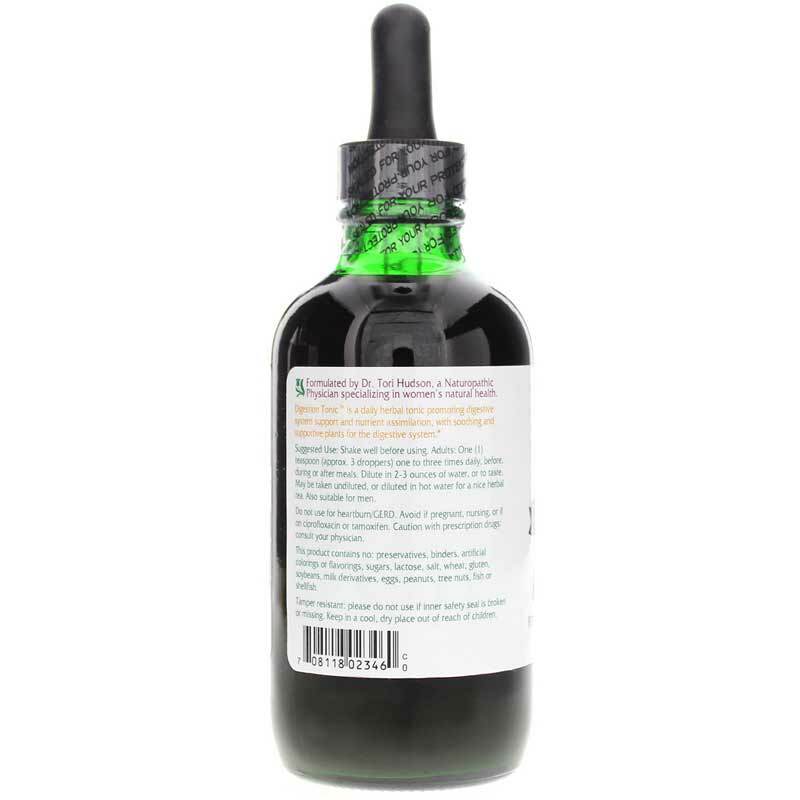 Together, the herbs in Digestion Tonic work together to support normal digestion and comfort, allowing your body to properly absorb the nutrients from the food you eat. Plus, with both peppermint essential oil and peppermint extract, you get great support and great taste. You can take Digestion Tonic on its own, or, if you prefer, it also dilutes easily in warm or cold water to suit your individual tastes. Get refreshing support for your digestive system. Order Digestion Tonic in peppermint. Contains NO: preservatives, binders, artificial colors or flavorings, sugar, lactose, salt, wheat, gluten, soybeans, milk derivatives, eggs, peanuts, tree nuts, fish or shellfish. Adults: Shake well before using. One (1) teaspoon, one to three times daily, before, during or after meals. Dilute in 4-6 ounces of water, or to taste. May be taken undiluted, or diluted in hot water for a nice herbal tea. Do not use for heartburn/GERD. Avoid if pregnant, nursing, or if on ciprofloxacin or tamoxifen. Caution with prescription drugs: consult your physician. Keep out of the reach of children.